If you want to get in on the ground floor of building a substantial company, then ADCO is the place for you. It doesn’t come without challenges, but that is what building for the future is all about. Joining the ADCO team is not only an opportunity to make a direct impact in building a rising company, but also a chance to grow with the freedom to follow your interests. We firmly believe that in order build our best work, we must first build from within. No one is pigeonholed into a stagnant role at ADCO/Grier—you can contribute wherever your strengths are and are encouraged and trained to improve your skills and knowledge, allowing you to pass down those skills to your team members as you grow into higher roles. 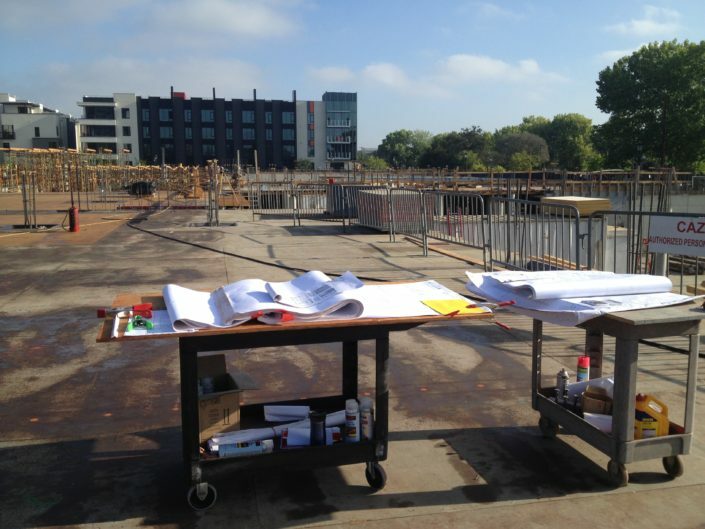 At ADCO/Grier, building better communities extends beyond the project site. Each year, we work with various organizations to help out those in need in the community, both at home and abroad. Recently, ADCO/Grier funded a new septic and plumbing system for a children’s orphanage in Cambodia through Mercy Missions. Other community service includes working with the City of Oakland and City Council Member Desley Brooks to donate blankets, hats and gloves to the homeless at Christmas, as well as an Easter Egg Hunt for city youth and their families, which included a bike raffle for children. ADCO/Grier has made its home in Sacramento, California. Known as the City of Trees, California’s state capital is a rising urban area with a vibrant dining and entertainment scene, access to popular Northern Californian destinations, and a cost of living that’s half the rate of the Bay Area. As the nation’s Farm-to-Fork (Farm-to-Table) capital, Sacramento has access to 1.5 million acres of farms that grow more than 120 types of crops, which has produced an array of fantastic restaurants throughout the city with a level of fresh cuisine that’s unrivaled. The Sacramento area is also home to over 40 craft breweries and is centrally located to over eight wine regions, including Amador County, Lodi, and Napa Valley. Sacramento’s prime location also means you’re less than 2 hours away from world-class skiing in Lake Tahoe or a night out in San Francisco. However, between the city’s burgeoning downtown area—soon to be the new home for the NBA’s Sacramento Kings—historic sites dating back to Sacramento’s pioneering roots, and friendly, welcoming community, you’ll find plenty of reason to stay in town. Each new day gives us opportunity to praise God, encourage one another and serve our customers with the best that we have. 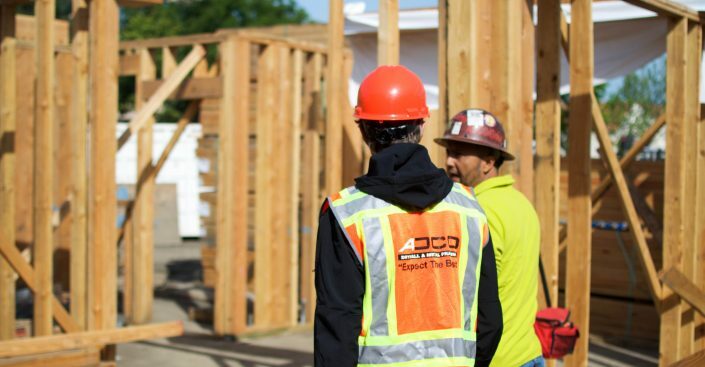 ADCO/Grier is more than a group of drywall and metal framing specialists—we’re a tight-knit family that’s helping build better communities. We’re a team that believes in hard work and doing whatever it takes to get the job done. Above all, we expect the best from each other so that our customers can expect the best from us. We also firmly believe in giving back to the community and have made it one of our priorities at ADCO/Grier. Each year, we partner with local organizations to host events in the community that help those in need. At ADCO/Grier, we put each one of our team member’s families first. For us, the wellbeing of our team members is above all else and we dedicate ourselves to ensure that all our teammates return home safely every day to their families. We believe that if something is worth doing, it’s worth doing safely. 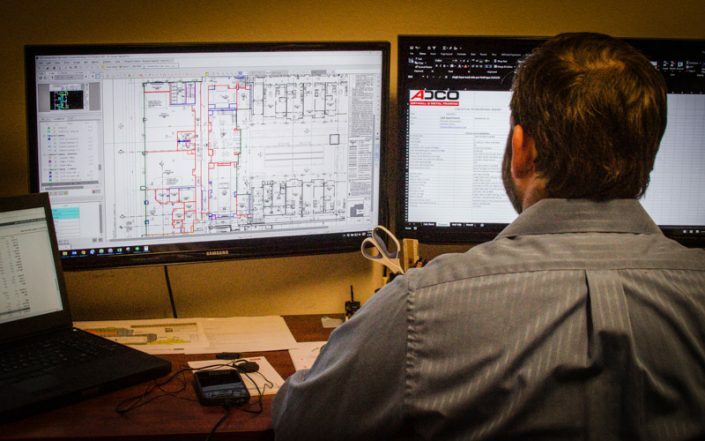 In our team, each one of us serves as a safety supervisor that’s working hard to ensure the safety of each one of our teammates and coworkers next to us. We believe in what we do and why we do it, which not only makes us a unique team, but also sets us apart and above other companies.